The announcement ceremony was attended by Ted McKinney, USDA Undersecretary for Trade and Foreign Agricultural Affairs, Bill Northey, USDA Undersecretary for Farm Production and Conservation, Kenneth M. Quinn, President of the World Food Prize and Manisha Singh, Assistant Secretary of State for Economic and Business Affairs. Dr. Haddad Dr. Haddad is a pioneer in food policy research and was head of the Institute of Development Studies in the U.K. from 2004 to 2014. He co-chaired the Global Nutrition Report in 2016 and was instrumental in convincing 100 stakeholders to pledge $23 million to fight malnutrition. 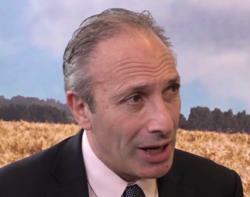 He is currently the Executive Director of Global Alliance for Improved Nutrition. 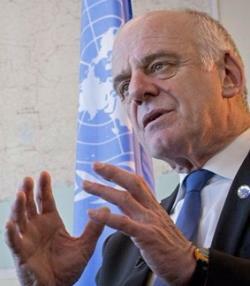 Dr. David Nabarro was head of the United Nations High-Level Task Force on Global Food Security from 2008 to 2014 and the coordinator of the Scaling Up Nutrition Movement thereafter. Drs. 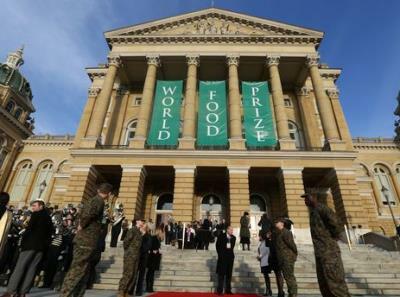 Haddad and Nabarro will jointly receive their World Food Prize awards at a ceremony in the Iowa State Capitol building in Des Moines, IA on October 18th. This event will conclude the three-day Borlaug Dialog International Symposium bringing together 1,200 scientists, agricultural economists and public sector administrators from 50 nations to discuss issues of global food security.